60 metric tonnes of bunker fuel were spilled on Singapore’s Temasek Fairway. According to the Maritime and Port Authority of Singapore (MPA), the agency received a report at about 1400hrs on 9 September (Singapore time) that a Hong Kong-registered bulk carrier “Sunny Horizon”, collided with the “DL Salvia”, a Korean-registered Liquefied Petroleum Gas carrier. 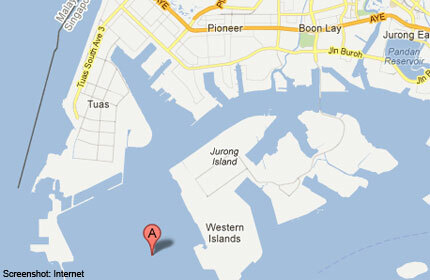 The collision occurred at the Temasek Fairway, about 700 metres east of Sultan Shoal. MPA said the bunker tank on “DL Salvia” was breached and less than 60 metric tonnes of bunker was spilled, but reassured that the area of spill is concentrated within Temasek Fairway. MPA has dispatched its patrol craft to deal with the oil spill. Oil spill response companies were also activated to augment the patrol craft. A total of seven patrol and anti-pollution craft have been deployed to clean up the spilled oil. Work is currently continuing and MPA is co-ordinating the clean up with other government agencies and the ship owners. The cause of the collision is being investigated by MPA. Efforts to contain and clean up the oil spill following the collision between Hong Kong-registered bulk carrier “Sunny Horizon” and Korean-registered Liquefied Petroleum Gas carrier “DL Salvia” continued today. There has been no further spillage of bunker from “DL Salvia”. 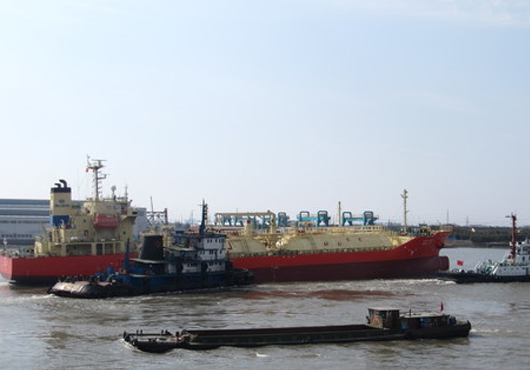 As a precautionary measure, an oil boom has been deployed around the vessel. Bio-degradable oil dispersants were used yesterday and today to break up the oil slick in the waters. In total, 9 craft and more than 46 personnel have been deployed as part of the containment and clean up efforts. Some patches of treated oil were sighted today at the reclamation sites at the western part of Jurong Island and Tuas View Extension, and at a rock bund at Sultan Shoal. MPA is working with JTC Corporation and the National Environment Agency on the land-based clean up efforts. 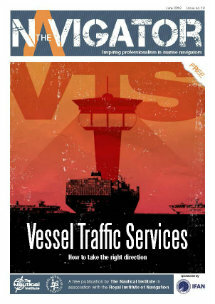 Vessel traffic in the Port of Singapore and port operations remain unaffected. The cleaning up of the oil spill following the collision between Hong Kong-registered bulk carrier “Sunny Horizon” and Korean-registered Liquefied Petroleum Gas carrier “DL Salvia” continued today. As at 1700hrs, Singapore’s waters around the affected area are generally clean, with only patches of sheen sighted near the Jurong Island T-bund and Tuas View Extension. The sea-based clean up operation continues, with a deployment of 7 craft, a harbour buster and 2 containment booms. MPA continues working with JTC Corporation and the National Environment Agency on the land-based clean up efforts. The rock bund and lagoon cleaning up operation at Sultan Shoal Island has been completed. As of 12 Sep 2012, a total of 14 craft, 2 containment booms, oil recovery equipment such as a harbour buster, and more than 100 personnel were deployed for the clean-up efforts at sea and land. No oil patches have been observed in the affected waters as at 1800 hrs today. MPA will continue to monitor the waters closely and carry out any necessary clean up. MPA’s patrol and emergency response craft remain deployed at the West Jurong area to deal with any oil patches that may surface. The shoreline clean up operation along Jurong Island’s T-bund and along Tuas View Extension has also been completed. Most of the shoreline has been cleaned, with only small light stains left. The light stains will be removed tomorrow.